The rain has continued to pour down around here. Once in a while, it stops, and I am able to squish and slosh my way out to the back yard. 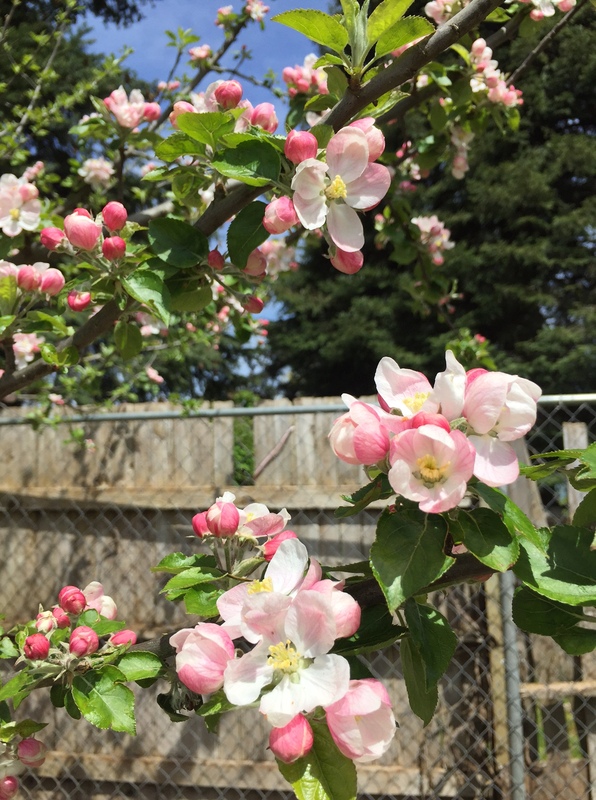 I love how pretty the apple tree looks, blooming cheerily through all the sogginess! We will see if we get apples. Lots of cooking got done this week. 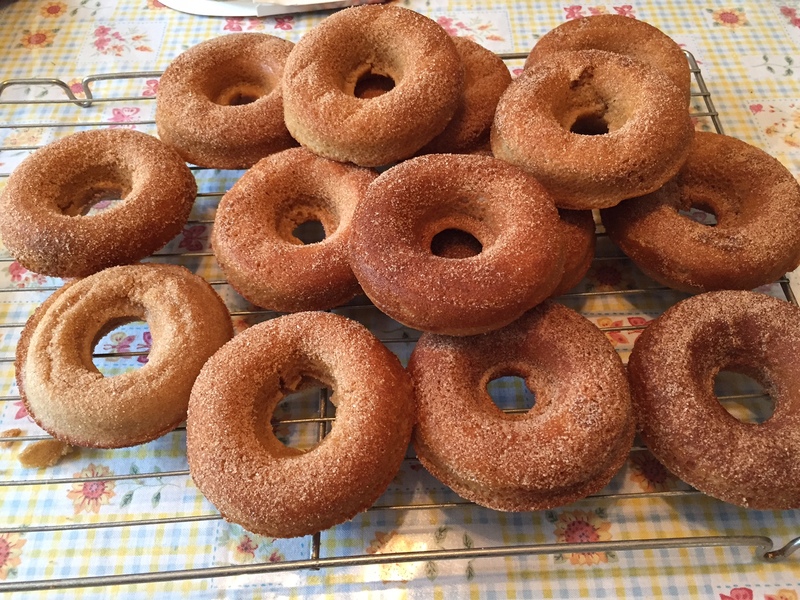 Alissa and Ja’Ana made baked gluten-free cinnamon sugar donuts. They were so good. There recipe was from the Gluten Free and More Magazine. Yum! I had gotten 2 donut pans around Christmas time, using a gift card I had, and had not used them yet, so I was glad they used them. We will make them again. 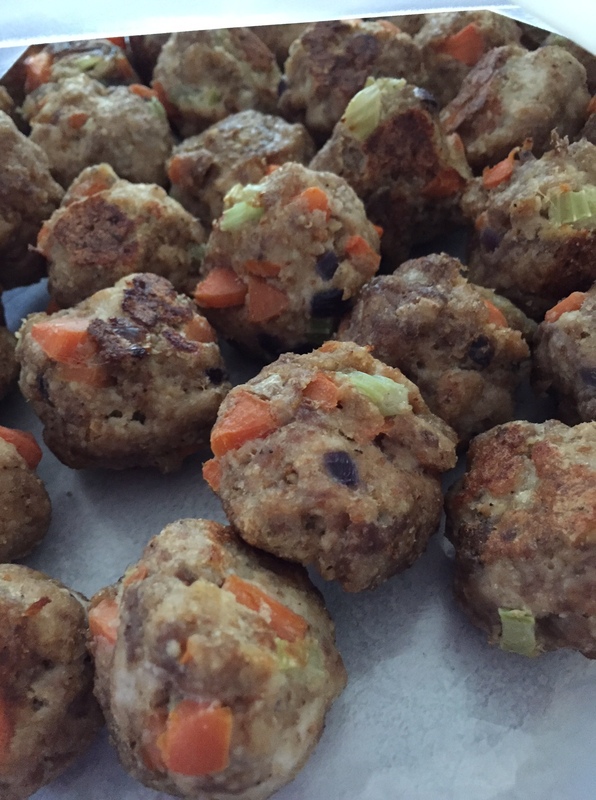 These meatballs were a group project. The girls started them, and I finished. The carrots were supposed to be grated, but they worked this way. There are lots of veggies in them (onions, carrots, celery), along with turkey burger, and a little beef burger that was left over from another project. They were bulked up with gf bread crumbs and 2 eggs. Then I baked them. I made spaghetti and meatballs for dinner, using all odds and ends of tomato products in the fridge along with some marinara sauce I had on hand. Then, I froze the rest for easy meals later. I cooked for the week ahead. I made chili and cornbread, cookies, and enchilada casserole. I have plans and ingredients for more. 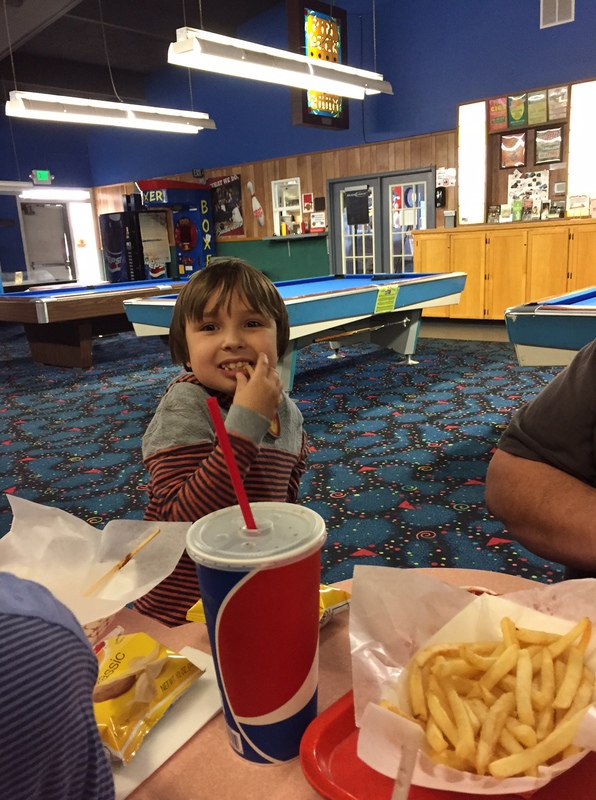 We took the kids bowling. We took Alissa, Ja’Ana, Ja’Ana’s friend, Patsy, Jake, and Michaela. 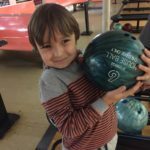 We used the Kids Bowl Free tickets. 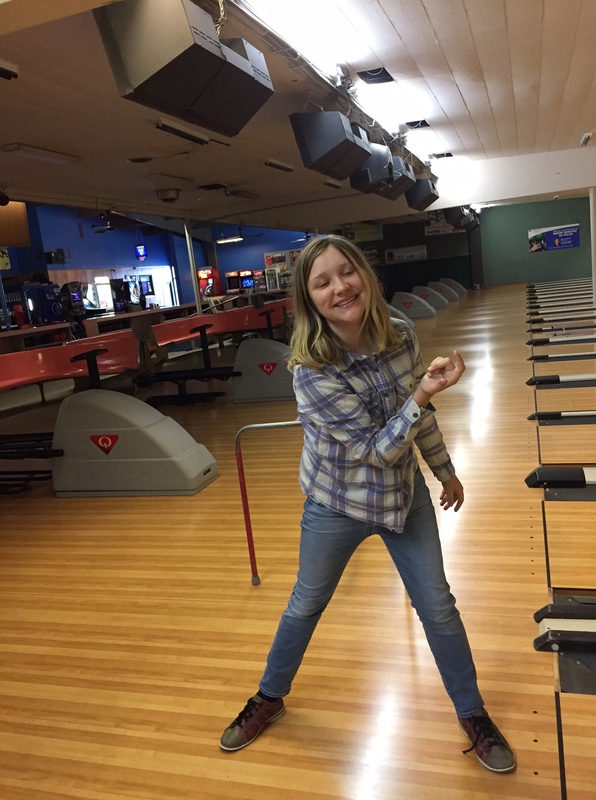 I did not know it was started already, but once I figured it out, we signed ours up and my sister signed hers up, and Rob and I took them bowling. You still need to pay for shoe rental, but it’s a good deal and a great way to spend a day off of school. Some of the crew went to the YMCA afterwards. We also accomplished a couple of errands, and I took Jake to the library. I was sure glad Rob did not have school Friday. It took us both! 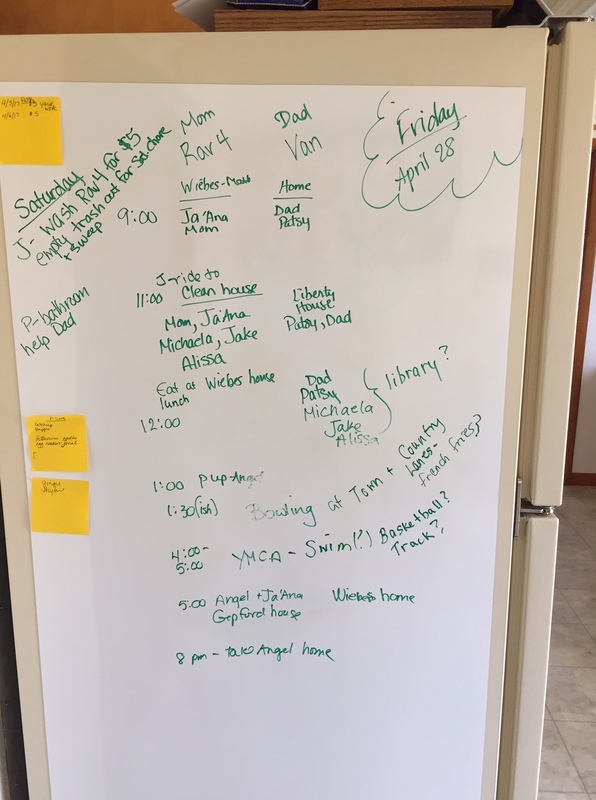 I used my new white board to keep it all straight, although changes were made as the day went along. I am so happy Rob finally found one that would work and ordered it. It’s magnetic. My aunt and I, along with a couple of friends, took our kids to the Northwest Children’s Theater production of Robin Hood. We did the school performance, so the tickets were very reasonable, and we loved the play. It was a great field trip. This has been a strange couple of weeks in some ways, mixed with all the fun memories. It seems like almost everyone is getting sick. Some people have gotten sick more than once. Both my aunt and brother-in-law ended up on antibiotics. Rob’s been crawling out of bed each day and heading to work, then crashing on the couch as soon as he gets home. 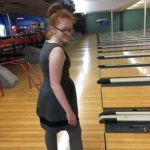 Ja’Ana ended up getting a fever at the bowling alley. We had to take her friend home, and since she had been fighting a bad cold for 2 weeks, I ran her to the doctor. We thought she was better, and I was not excited when that fever showed up. She now has a virus. The doctor says she probably has had 3 different things in 2 weeks. Yikes! Yesterday, Jake popped a fever. And, he’s already had the cold for a week. I had to pick Michaela up from school Wednesday. She’s been sick for a couple of weeks, and couldn’t make it through her first day back. Alissa is toughing it out. Lovana has a headache today. Patsy had it, but feels good now. My sister can barely talk, she’s so hoarse from her awful cold. Do you notice whose name has not been mentioned? Yep. Mine. I’m kind of worried, to be sure, but I’m sure I’ll have enough healthy people to take care of me when its my turn. Or, maybe I can skip my turn……. I hope to work in the garden a bit this week. I’m hoping it dries up enough to do that. I do have little seeds up, and bought 3 herbs I want to plant. Fun! All winter here it was the same sort of odd illnesses. After many months of it I think it is finally out of here. It is though that it was a virus iny husband’s heart that caused his heart attack. Praying that you stay well and everyone else is on the mend. We only spent $6 on groceries last week which is always a great way to save. We are back at the lake for 8 more days and really enjoying our second week away. I’m so glad you got to go to the lake. I hope you get rested up! $6 for a week is terrific. Good job! And, yes, the donuts were SO good that we polished them all off, among the family. Time to make more! After all, they are baked……..
I’ve always wondered how those baked donuts turn out. Real ones give me a stomachache! Hope everyone at your place is on the mend soon, and the rain moves on. Thanks. Because I am so gluten-free, as in it makes me sick–it’s not just preference, I was SO happy to have a donut of any kind! But, these were really tasty. I will freeze any leftovers next time. They got a bit dry after 2 days. I really want some of those pans! Kitchen things are my spending weakness! :). I love your yard pictures, they are always such a contrast to where I live (mountains of AZ and their own kind of beautiful, but very different). 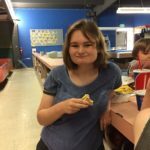 We listed our house for sale, so it’s been very busy here, but your post is a reminder to me that I should do more fun things for/with my daughter while she is still home. I tend to always get caught up in all the work that should be done. I agree. You should skip your turn at getting sick. So far, so good! I’m keeping my fingers crossed! Finally had a break in the rain here. Started attacking the dandelion forest. Thanks! Good luck with those dandelions. They are fierce! Proud the kids had such fun outings. They look very happy.. and who can go out with out getting french fries.. One of my favorites too.